We are leading service provider of Pharma Monopoly. 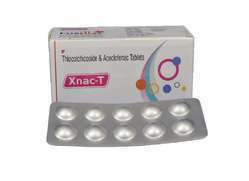 We are offering Aceclofenac Thiocolchicoside Tablets to our client. We offer these products at market leading price.